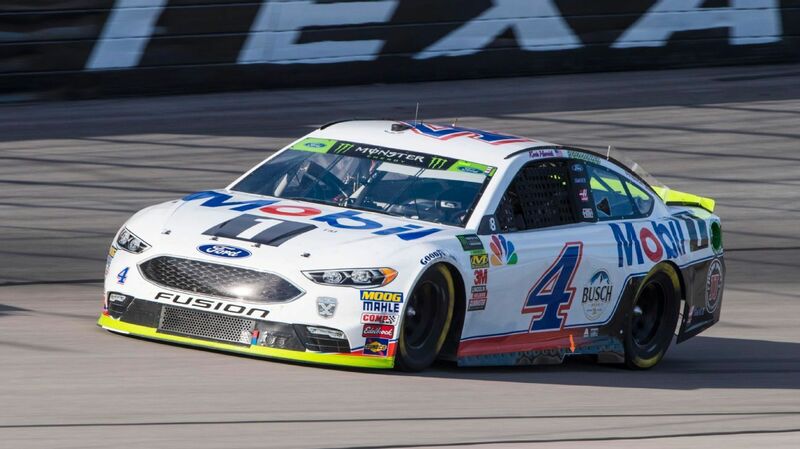 FORT WORTH, Texas — Kevin Harvick gave the checkered flag to a young fan he brought onto the track to take a selfie — with the winning driver and car that will have a shot at another NASCAR Cup championship. With 20 laps remaining, Kevin Harvick found a zone to make a key pass and held on to victory, guaranteeing him a berth in the championship race in Miami. Of Harvick’s 32 starts in the Lone Star State, his only wins are the past two fall races to get into the final four. The 2014 Cup champion has 20 top-10 finishes at the 1½-mile track. He won both stages Sunday, marking the fourth time this year he did that and went on to win the race. After the first of the late restarts, Harvick was on the inside and able to keep Blaney from clearing him on the backstretch. Harvick was already starting to rebuild his lead — it had been nearly 4 seconds before the caution — when another yellow flag came out. Harvick was on the inside again for the next restart, but Blaney was able to get by him. Blaney led seven laps before Harvick went under him and was again putting distance between them before Joey Gase‘s spin brought out the last of eight cautions.